Warm saline rinses can help in relieving the pain (1/2 teaspoon of salt in 8 ounces of water). Over-the-counter pain relievers also may help. 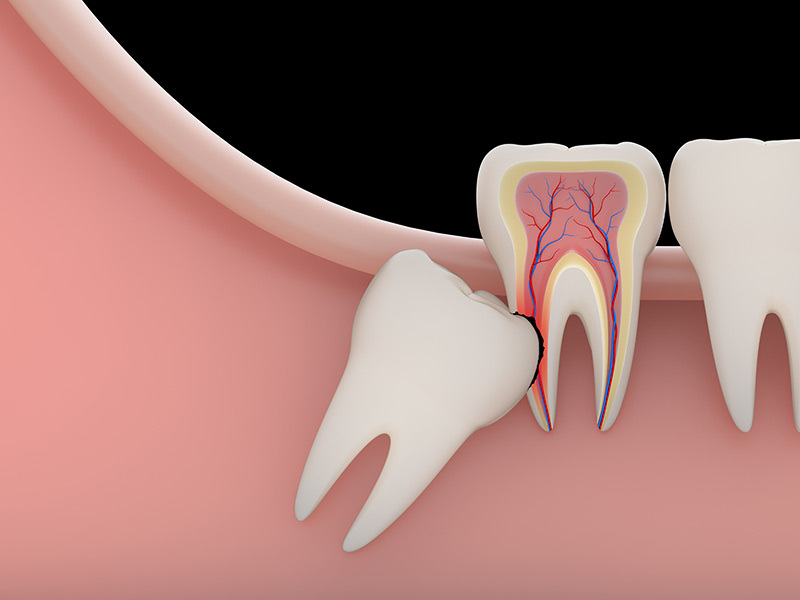 If the tooth continues to cause pain, is infected or interferes with nearby teeth, the usual treatment is to extract it out. .Patients are often referred to an oral and maxillofacial surgeon to have an impacted tooth removed. 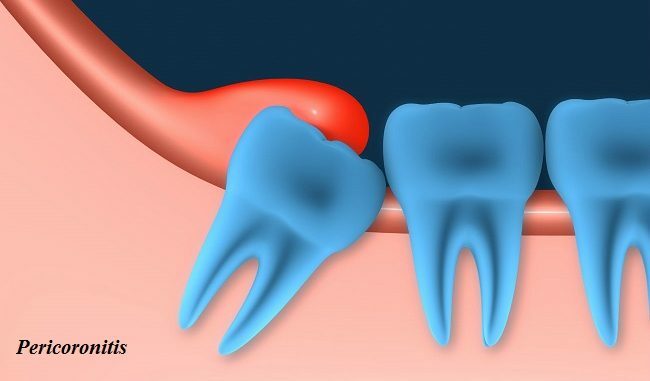 Many people have all four of their wisdom teeth taken out at once. Sometimes this surgery is done before the teeth have started coming in. This prevents future problems. 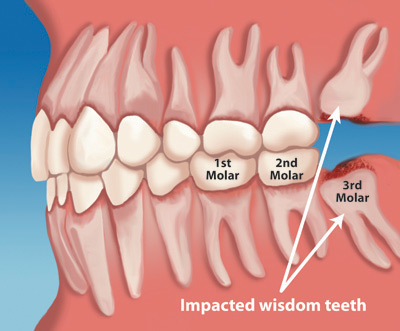 Often, it is better to have your wisdom teeth taken out before you turn 21. The surgery usually is less complicated. The tissue and bone also heal better.The surgery is PAINLESS and done under local anesthesia.